Check out the exclusive interview the Editor and Chief of "Gifts & Decorative Accessories" did with our Marketing Director, Wendy Sorquist. 1. When it comes to home décor and gifts, it looks like the “unexpected” is becoming more and more popular. Is this something you are also noticing? How do WOODCHUCK USA products fit well into that trend? WOODCHUCK USA’s product is a natural fit for something new, unique and authentic. When it comes to gifting, we’ve learned a thing or two along the way. Gifts of authenticity will appreciate over time and provide use in everyday life. Our ability to localize or regionalize product adds another layer of cool factor to our gifts, something you can’t find everywhere. 2. Are there other trends you’re noticing and aiming to follow, or are their news ones you’re hoping to set for the rest of the industry? If so, what and how? Right now we are seeing 3 main trends: Sustainability, social good and experiences. People are seeking gifts that are eco-friendly. Enter WOODCHUCK USA. These days everyone has a voice. 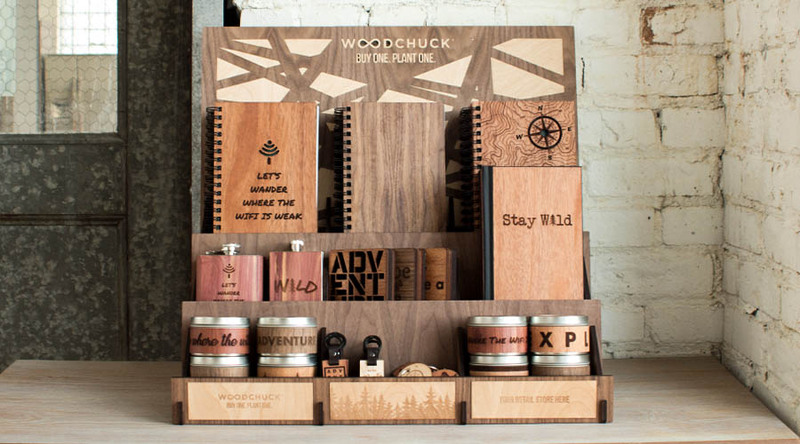 WOODCHUCK USA is reinventing gifting with a mission. Through our "Buy One. Plant One.®" Program (BOPO), we plant a tree for every product purchased. Each product comes with a unique tree card and code that can be entered on the interactive BOPO site. This way you can learn about your tree, its location, and the direct impact you're having on the planet. By giving or receiving a WOODCHUCK USA product, you're part of a community reforesting the world. More and more people are craving experiences, not just products. Enter The Adventure Collection. Our most adventurous products are designed to inspire more nature in people's lives. Check out our signature Adventure Collection for the vagabond. Adventure to begin upon arrival! 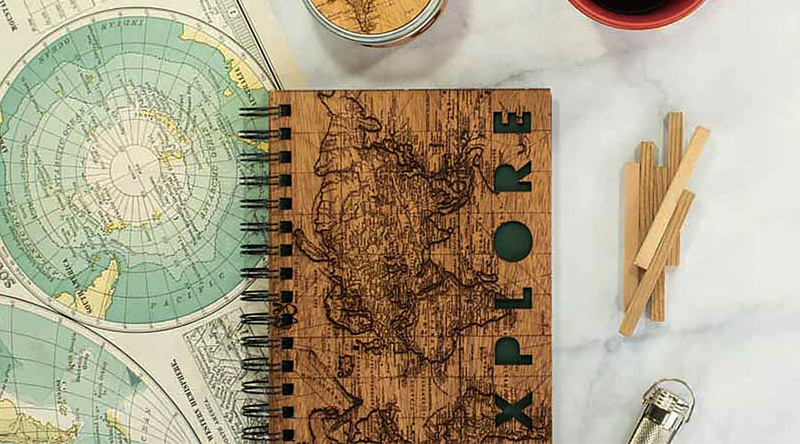 The most popular, our one of a kind Bucket List Adventure Journal, helps you create your very own adventure bucket list to log your adventures into. 3. It’s so interesting that WOODCHUCK USA uses wood; where did that idea come from? What are its benefits? The idea came when Founder Ben VandenWymelenberg stuck a wood sticker to his phone when he shattered it in college. 5 years ago our manufacturing operation was a laser in his dorm room. Today we employ over 30 full-time employees and produce in a world-class facility. The fact that we're making our products here in the USA, a choice we've made, has a huge impact in our community, and across the globe. 4. How does it help the environment? WOODCHUCK USA’s “BUY ONE. PLANT ONE®" program, was founded just three years ago. For every product purchased, we plant a tree. To date, we’ve planted over 1.5 million trees across 6 of 7 continents. We’re on a mission to reforest the planet. And we’re just getting started. 5. What added joy does it give to consumers? Bringing nature back to people’s lives while leaving the planet better off than we found it is the reason we started this company - and while making a product as cool as the stories that inspire adventure is our forte - creating those moments to experience the wonder of nature is what it’s really all about. 6. How does it help retailers make a sale? WOODCHUCK USA plants a tree for every product purchased, making you and your customers a part of a community changing the world. Each product comes with a unique card and code that directs customers to learn more about their tree, its location, and the impact they are making. Wood is very much an innovative and trending category offering, yet truly timeless. WOODCHUCK USA products open up new worlds of possibilities with a wide range of consumers to incorporate the warmth and timeless aesthetic of wood. 8. Finally, what are the latest products from WOODCHUCK USA that are, or are sure to be, your top sellers and why? We've got you covered with our best sellers! From NEW spiral journals to the lightest and thinnest WOODCHUCK USA journal we've ever made, our 3 pack adventure notepads are flying out the door to striking new plaid and camouflage patterns and to top it off, stickers! Plus, check out the brand new WOODCHUCK USA candles with scent a rejuvenating spruce pine note scent is a huge hit this season. 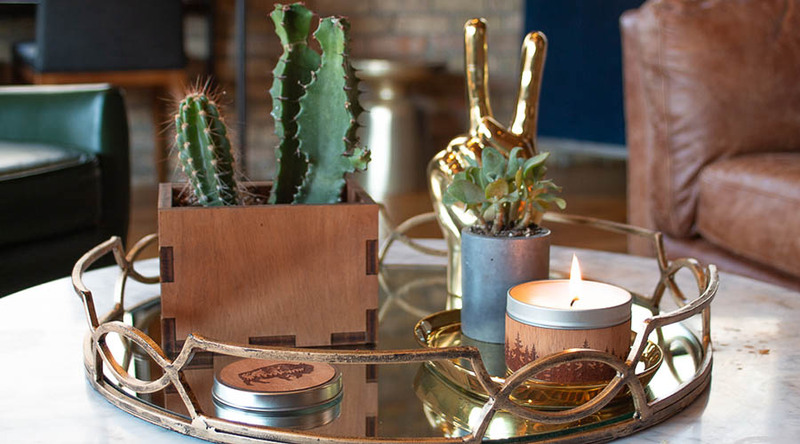 Made with soy wax and a wooden wick, your customers have to have this.